To be honest, I don’t believe in S models when it comes to Audi. For me it is either you buy the chilling A version or the proper, sporty RS. But that S1 was an exception to the rule. As a big fan of hot hatches, it couldn’t go unnoticed. With its 231hp and 272lb-ft squeezed out of a 2.0 Turbocharged 4 cylinder engine, that car, the size of a Ford Fiesta, would burn the 0-100km/h in just 5.8 seconds. It might be a couple of horses short compared to the previously released, limited edition A1 Quattro (256hp and 258lb-ft of torque) but it has more torque making the acceleration more brutal. 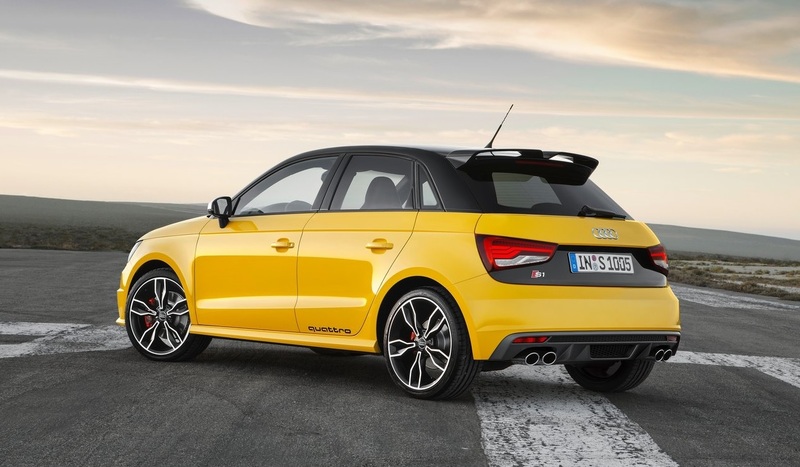 Unlike the special edition A1, it can be ordered in several brand new Audi colors like that gorgeous Yellow Vegas. It just looks stunning with those new front Xenon headlights and led taillights and have you seen that spoiler and those 4 tail pipes?! 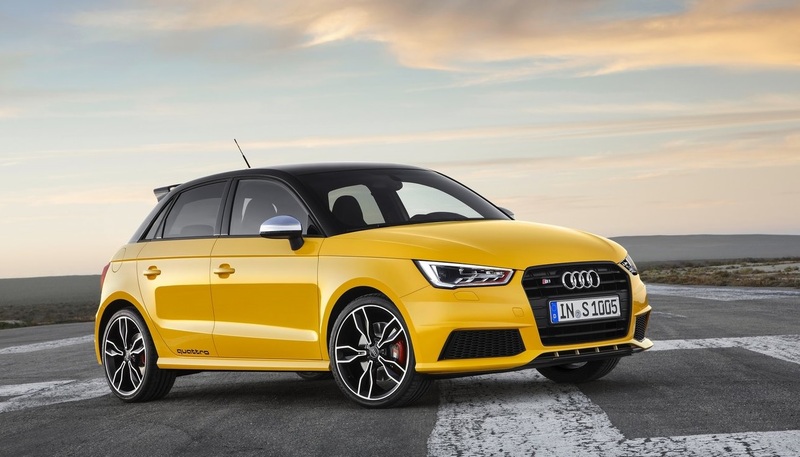 With Audi’s Quattro and a manual gear box, that S1 must be a joy to drive. It even has 5 doors so you can take your pals for a hot climb to the mountains or for some drifting on snow. Price wise, with the A1 costing around $40K I would suspect the S1 to have a selling price in Lebanon of around $60K. Is it worth it for a car the size of a matchbox with the engine of a GTI? Even tough they don’t really belong to the same category, I think I would rather pay a bit more and get myself a proper MK7 GolfR (full review available right here) which is more spacious and has 300 ponies awaiting to be whipped. The long awaited hard top version of the already wonderful F-Type roadster has been finally revealed and it looks stunning. The Coupe is the latest member of Jaguar’s R performance line, that includes the XFR-S and XKR-S. It features the same 5.0-liter, 550-hp and 680Nm of torque supercharged V8. This beauty will burn the 0-100km/h in just 4.0 seconds. The new breed is equipped with hidden rear wing that rises at speeds above 100km/h and stiffer adaptive dynamics suspension that manages the car’s body movements and adjust accordingly. It also has an electronic active differential and a torque vectoring system that further aid the F-Type R’s handling abilities, by controlling the amount of torque sent to each wheel while allowing the inner wheels to brake independently to reduce under-steer. 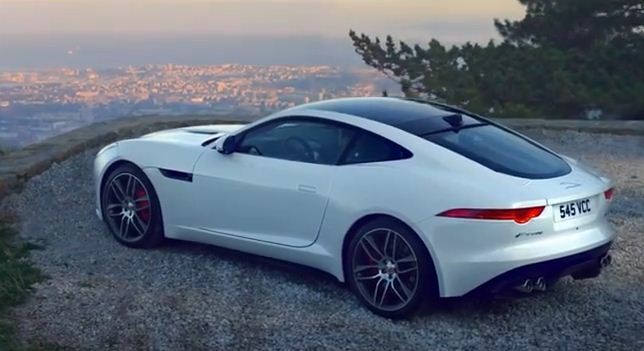 This F-type R is one, if not the best, looking supercar that has been released this year. It is the perfect balance of pure elegance, power and eye popping beauty. The roar that comes out of those 4 tail pipes is just plain earporn! Amazing package that thing, great job Jaguar! 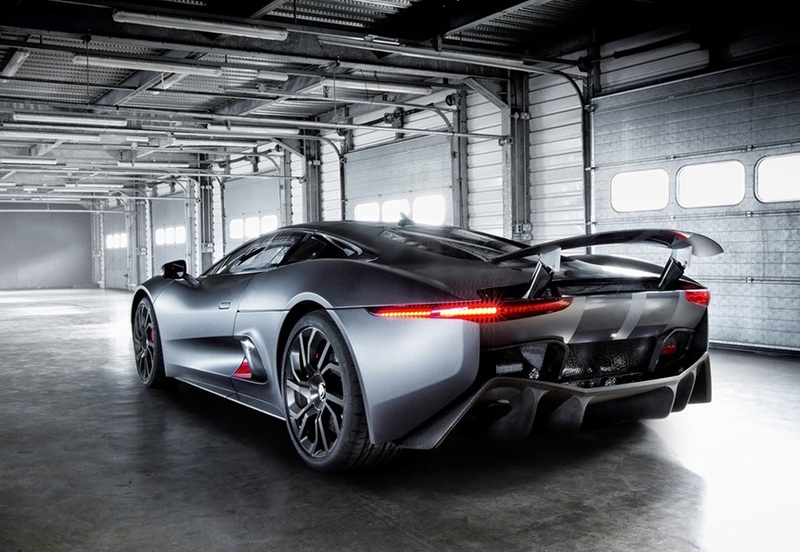 “Our challenge was monumental: we needed to achieve the performance of a Veyron; the range of a Volt; and the CO2 of a Prius,” said Jaguar C-X75 manager Rob Atkin. After the introduction of LaFerrari by Ferrari and the P1 by Mclaren, it is now Jaguar’s turn to reveal their secret weapon. 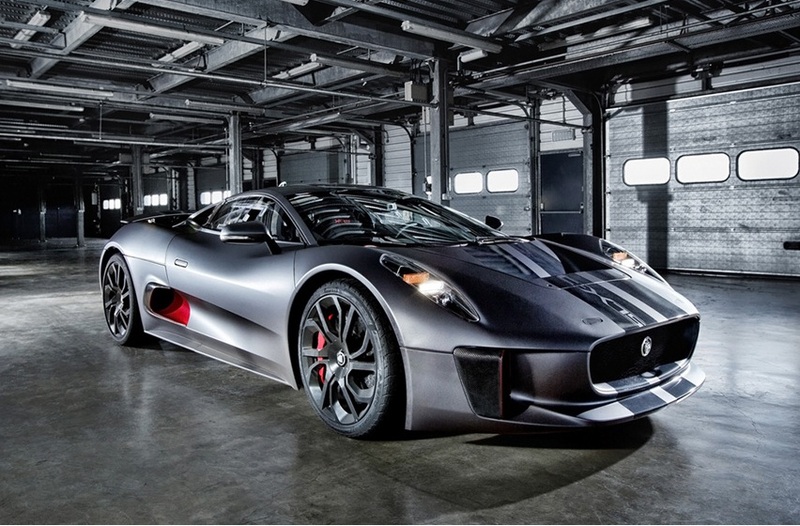 They called it the C-X75, a concept they have been cooking for around 2 years now, celebrating the 75th anniversary of Jaguar. The result? The most technological advanced production car in the world. This new master piece is a hybrid that has around 850 hp and 750lb-ft of torque, the result of a combination between a Turbocharged and Supercharged 1.6 liter 4 cylinder engine delivering 500hp revving up to 10,300 RPM (YES you read it right) and 2 electric motors generating around 350hp. The petrol engine alone is delivering 313hp per liter, which is 60% more than any road car available in the market today. This massive amount of power will be delivered by all four wheels to the road through a 7 speed manual gear box. The Co2 emission of this beast are comparable to the ones o a Prius, the hybrid that Toyota has been producing for the past couple of years. Even though it is a production car, Jaguar announced that it not for sale for the time being so don’t expect to see any of these on your local roads soon. Its design is just brilliant, the grey, matte finish looks amazing. The overall look of the car is crazy but not too crazy, the rear diffuser is just massive and the front end looks “deja vu” it has a Ford-ish aspect to it don’t you think? With this car revealed, we should be expecting mind blowing techs in the next generation Jaguar production models. Looking forward! 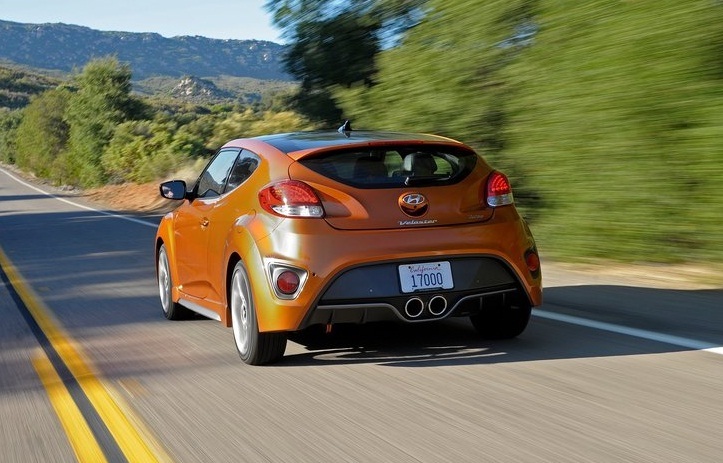 Hyundai’s Turbo Veloster has been on the streets for quite some time now. I find that this turbo version was a must. There was like a “disagreement” between the Velosters looks and its power outcome when the 1.6 liters V4 138hp version was released. This time though, the Turbocharged 1.6 liters V4 is up to the task with its 201hp. The Veloster has now its place in the Hot Hatch market. Let’s see if it’ll be able to become a reference in this target market. This superbowl commercial is a good way to show the power capabilities of this new born of Huyndai. Check the Veloster Grim Reaper commercial right here. Hyundai has made some really good improvements regarding the design and quality of their new models while keeping there competitive low prices. 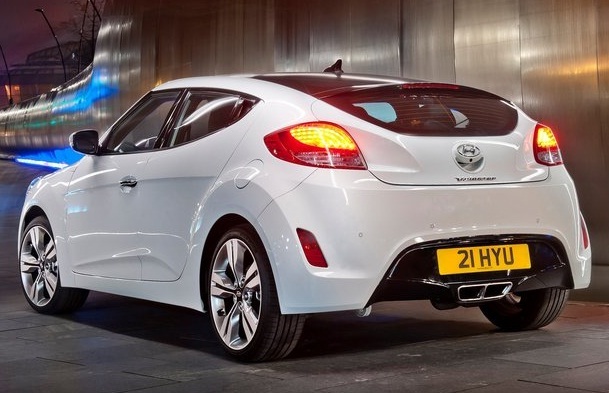 With there new born, the Veloster, the South Korean firm is aiming to compete in the Hot Hatch market. But is there new creation good enough to compete in that market? Well, the design (outside and inside) of the car is very original and distinctive. I find the idea of a 3 door car not bad at all. The engine thought not so brilliant. The Veloster features a 1.6 138hp V4 which I find not powerful enough to compete in the Hot Hatch market with Mini Coopers and other GTIs. The good news is Hyundai announced that they’ll releasing a Turbocharged version of the 1.6 V4 that is gonna deliver up to 200hp.That’s more like it!! 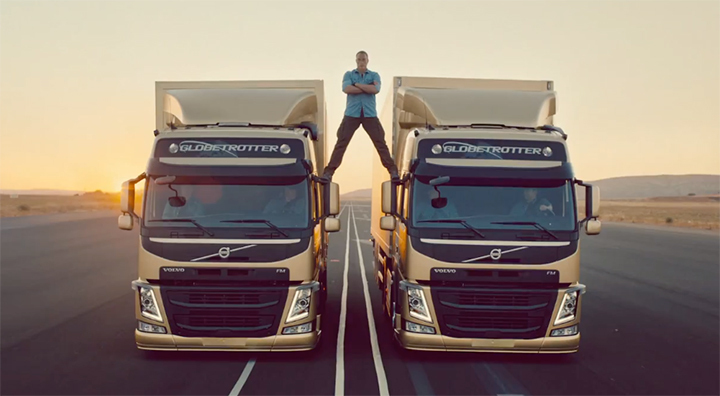 Regarding the commercial, Hyundai is advertising the safety advantage of having a three door car. Such a brilliant idea by Honda to promote the fuel economy aspect of their new Honda CR-V 2012 . The ad really “suits” the slogan! Honda is advertising their CR-V family car in exactly the right place, supermarkets, which are mostly visited by parents.